Carico - The Finest Quality Health Wellness and Elegant Lifestyle Products: Why do Brides select Carico? The reason why brides select Carico is that once they know about the company and its products, they simply fall in love with Carico. For many years, we have often heard customers and representatives of Carico say “everybody loves Carico”... yes, “everybody loves Carico”. Since 1967, thousands of brides throughout the world have been investing into Carico products. Sales have been consistent for our 43 year old established Company. What makes Carico unique? 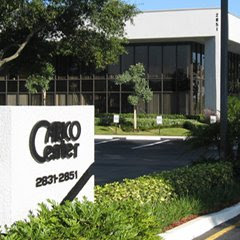 Why has our company grown from a $65.00 per month warehouse space to having its Corporate Headquarters situated on 5 acres of prime real estate in Fort Lauderdale, Florida, with over 100,000 square feet of office and warehousing? How did it grow from one man to having over 150 staff members working in its corporate headquarters and hundreds of distributors located in over 20 countries? How did it grow into a house ware giant with over 11 different, top quality, exclusive products? -Quality products that are uniquely different and far superior in design and performance than any products available anywhere! -Professionally trained Carico certified consultants who through private showings assist the brides and show the many features and benefits of Carico products. -The bridal industry in a comparison study by a leading bridal magazine, saw the growth go in one decade from $35 billion a year to over $70 billion a year in sales. -Of this amount, 2/3 of the total sales generated are from sales of house wares, i.e. cookware, china, crystal and tableware. -The brides spend more on these products than on any other products which make up this industry. What does Carico offer you? -Opportunities for those in the bridal business to earn extra income, simply by referring brides to Carico’s bridal registry and for sales generated as bridal gifts. To learn more about this or invite Carico as a vendor in any Bridal Shows, or if you would like to own Carico products, please contact Carico International, Joseph Di Ciacco, Vice President, email: diciaccoj@carico.com or 1-800-777-8577. Our website is: www.carico.com.